If you’re looking for a longer walk this is a goodie. Starting in Lowry Bay, this walk traverses the Eastern Hills to the Bus Barn in Eastbourne. With stunning views and great scenery, this walk also includes Mt Lowry the highest point in the East Harbour Regional Park at 373 metres. Not high by hiking or mountain terms but high enough for great views of the Wellington Harbour and the surrounding suburbs. Walking time 5 to 6 hours. To print the above map, click on mapometer.com at the top of the map. The printing and PDF option at the bottom of this page will print or download the post except the map. Once you’ve clicked on mapometer, the link will take you to the printing or export option. If mapometer asks for your location decline, otherwise it will take you to your location and not the above map. Remember this is only a guide of the route, for more detail click on the map below, this can also be printed. This Wellington day walk starts at the end of Cheviot Road, Lowry Bay. There’s no car park so parking at the road end is limited. If using public transport, the bus stop is near Cheviot Road on Marine Drive…it’s a short walk of 5 to 10 minutes. Once on the track there’s a short walk to the intersection of the Ngaumatau and Cheviot Road Tracks. 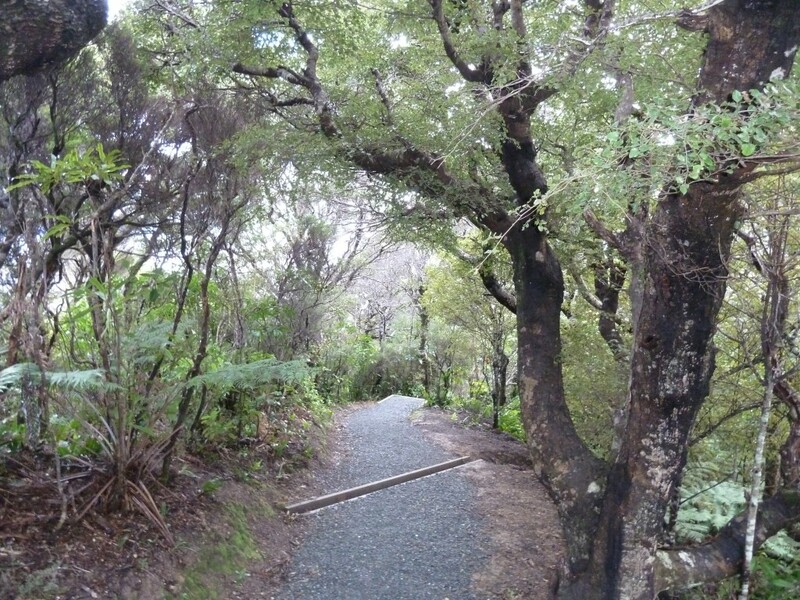 Take the Cheviot Road Track, this will climb steadily through native bush with great views of Lowry Bay and the harbour as you go, 45 minutes of climbing should bring you to the Howard Road Track. Continue climbing to the right until you reach the Wainu Hill turn off, about 10 minutes. At this point you’re on the main ridge track, the views are superb. Continue for 60 minutes along the main ridge…this will bring you to the top of Mt Lowry, the highest point in the East Harbour Regional Park, at 373 metres. Stop for a bite to eat and drink and admire the view. From here the track descends and then undulates as you head along the ridge to the Kaitawa and Ferry Road turn offs. Both tracks are less than 5 minutes apart…from Mt Lowry this should take 30 minutes. Continue on for another 30 minutes, this will bring you to the Korimako track and then 15 minutes further the Kereru Track. The next session is consisted a route…it’s a perfectly good track and marked with orange markers on the trees. 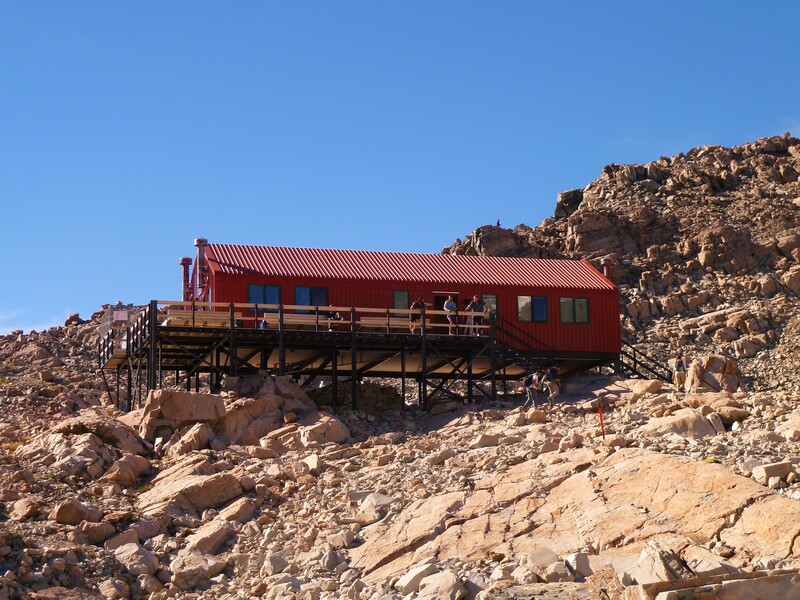 This part of the ridge isn’t used as often as the other tracks or the one you’ve been walking on…be a little more vigilant and watch for the orange marks. The track will climb over Mt Hawtrey and then descend steeply to the McKenzie Track. Allow 60 minutes for this session. 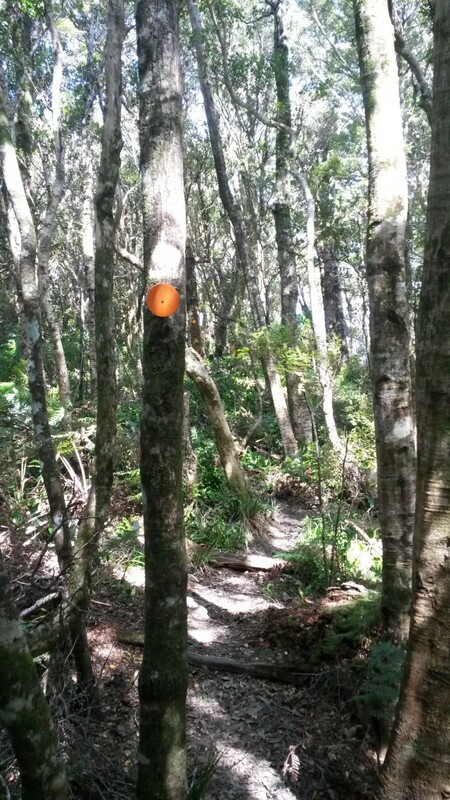 From the junction of the McKenzie and the Muritai Park Tracks, continue on down the other side to Butterfly Creek, the track follows the creek to an intersection where you can walk on to the picnic area or climb back onto the main ridge, 30 minutes to this point. If you plan on going to the picnic area add another 20 minutes to your walking time. The climb up onto the main ridge should take 15 to 20 minutes. From the main ridge take the bus barn track which continues along the ridge, then descends to the bus depot and Muritai Road, about 40 minutes. This can be walked in either direction. The above description is the easier way to walk. If traveling by car, park at the Cheviot Road end or near by. Public transport runs regularly, with buses passing through Lowry Bay. Take bus No. 81 or 83, for times check Metlink’s journey planner. Bus stops are marked on the map above. This walk finishes at the bus terminus, perfect for your return trip to Lowry Bay. Warm clothing, raincoat and good foot wear. If wanting a drink and a bite to eat afterwards, Eastbourne has some great cafes and places to eat. For more information on what to take hiking, check-out my blog on hiking gear. Expect some variation in times depending on conditions and personal fitness levels. In the summer tracks are dryer providing much firmer footing than wet muddy winter conditions. A fit experienced walker will be able to walk this much quicker, please provide feed back if this time needs to be extended. I’ve graded this a medium/hard walk. The tracks are well defined and well marked, there are no stream or river crossings and the duration of this walk is around 6 hours. There are a number of alternative routes if things get difficult and you need to shorten your walk. Refer to the above map and always carry one with you. For more detail check out the topo50 BQ32 map. Wow, just wow! I so want to go on that hike right now, you did such a good job describing it. I bet this place is beautiful just from the description. Are you by chance like a park ranger or something? Or a frequent hiker? I’m also glad that you included even the tiny things that sometimes hikers don’t take into account such as time, or places to eat at certain points, etc… Just overall awesome. Keep it up! love this post i will book mark it for when i come to NZ for a holiday it looks like a great walk through the forest there. Thanks for stopping bye and leaving a comment, have a great day. Definitely is a great walk, thanks for visiting my website and leaving your comments.